Once again, tax season is upon us, and many people are using Turbotax to file their return. A few years ago, Intuit rebranded their Canadian tax software from the previous QuickTax name. This was done to align all Intuit global tax programs under the TurboTax name. So, if you are wondering what happened to QuickTax, the answer is this: It’s now TurboTax. Same program from the same company. One of the reasons I often recommend TurboTax to those who have used it before is due to the fact that you can save your information year to year. This means that the next year you file your tax return with TurboTax, it’s even easier. Just review the information and only change what you have to. Additionally, I have found the ability to flag items helpful. If you are missing something, you don’t have to stop the process while you hunt up a piece of documentation. Instead, all you have to do is flag the page so that you can easily get back to it later. This helps me as I often find myself missing some number or piece of paper. Instead of trying to find the appropriate place in the program again or pausing for an hour while I try to track down the right information, I just flag it and move on to the next step. When I get what I need, it’s easy to return the problem place. TurboTax is available online and for download (or CD). It’s important to understand that the desktop version of TurboTax is only compatible with Windows. If you have a Mac, you will need to use an online version. For Canadians with very simple returns, there is TurboTax Free, which allows you to enter your T4s and other similar income online and use NETFILE. One of the cool features of TurboTax Free is that you can use it on your tablet or smartphone. Other versions of TurboTax, whether you use the online or download versions, are best used on a desktop or laptop. If you have a fairly simple tax return, you can use TurboTax Basic software for $14.99. I’ve never tried it but it appears to be stripped down to a walk through for just T4s and donations. It can be an upgrade from doing your taxes on paper, and you get the NETFILE option. You can only file up to four returns with this version. Plus, the Basic version leaves out some features of pricier versions, including the import of last year’s data and the ability to flag items to return to later. TurboTax Standard is likely to cover the needs of most Canadians and is reasonably priced at $19.99 for the online version and $34.99 for a physical copy. Use this link to get a 20% discount on either price. I almost missed a deduction once, and just getting that helpful advice more than made up the cost of my outlay. For those with average tax returns, particularly families and couples with a fair amount of deductions, the Standard version is likely to be your best bet. However, you can only file up to eight returns. Premier: Get tax help with investments and rental properties. If you have investment income, this is the software to get, although it will cost you $34.99 online and $69.99 for download or CD. (20% discount) For some, though, it’s worth the cost in order to avoid an even costlier tax professional. Home & Business: Do you run a business? This version of TurboTax includes everything from the Premier version, and adds functionality to help you maximize your business deductions and expenses. You will pay $49.99 to prepare online or get the software for $109.99 (20% discount), and it can be ideal for the home business owner. TurboTax 20: If you want to get beyond the limits offered by the other products, you can upgrade to this version. It’s only available for download or CD, and is ideal for those who need to file more than 12 returns and have an income of more than $25,000. It is worth noting that the Standard version can handle investments and business income and expenses, so getting the Premier version might not be strictly necessary. If you are fairly knowledgeable about taxes, there isn’t a need to upgrade. You won’t get any wizards or optimizers for investment/rental/business income and deductions when you use the Standard version, though, so you have to do a little more legwork on your end. If you know that you will have questions, and you want the extra help, it makes sense to upgrade. You can compare TurboTax versions on Intuit’s site. When you choose a lower-cost product, you can get help with some of your issues, but you can only access that help on chat. You need to buy a version of TurboTax — at least the Basic — if you want to get help over the phone. There are times, though, that it might make sense to go with a tax professional. While the ProReview is a nice touch, it may not replace a knowledgeable accountant. If you have very complex taxes, or if you have questions that remain unanswered, considered hiring a tax professional that you can sit down with. 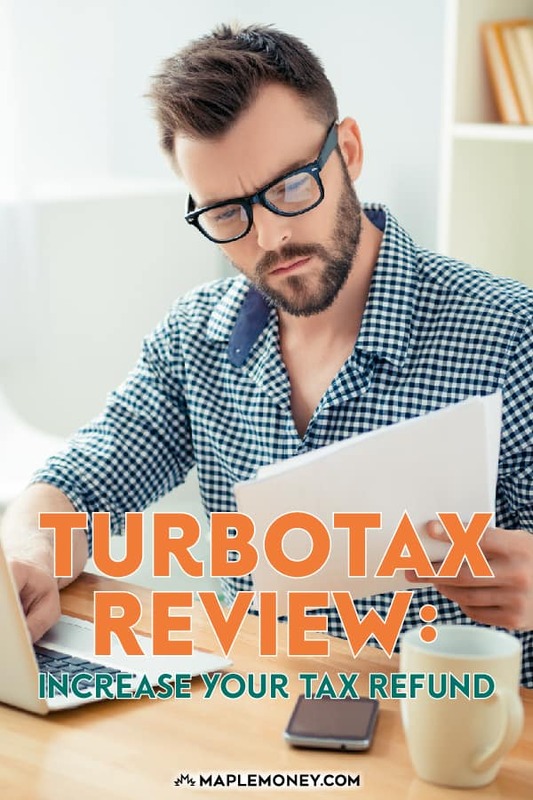 For most people, though, even those that own businesses, the truth is that TurboTax can be a great resource, and that it is sufficient. I’m a fan of TurboTax and have used it to prepare my family’s taxes. It’s a great program and worth the money if you want one of the smoothest experiences while doing your own taxes. TurboTax 2015 Review appeared first on Canadian Finance Blog.